By installing photovoltaic panels to generate power, you create the potential to reduce, eliminate or even reverse your monthly utility costs! If you looked at photovoltaic electricity in the past, but thought the estimates prohibitive, improvements in technology and efficiency combined with different incentives have considerably reduced the bottom line. 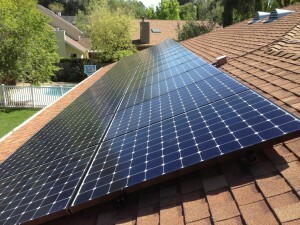 Solaron is helping clients throughout Davis realize these benefits from photovoltaic electricity. To guarantee our clients are gaining the best value for their money, Solaron only installs photovoltaic panels produced by SunPower. As an Authorized SunPower Dealer, Solaron offers products that are widely thought to be the finest and most efficient in the photovoltaic industry. Each and every panel is backed by a 25-year warranty. Thorough research, development and product testing internationally makes SunPower panels the only ones we trust completely. Call Solaron today so that you can unlock the Sun’s energy potential with this winning manufacturer/installer team.